Keeping track of important events and dates. 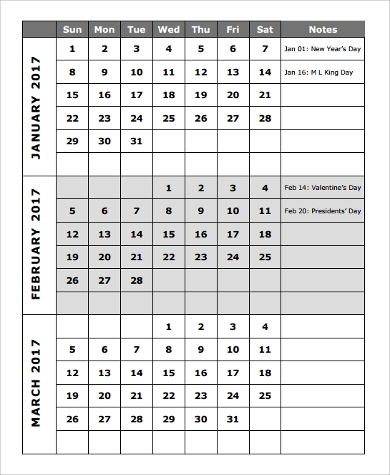 As traditional as it is, calendars are the best method of making sure you never miss any significant date. Offices, schools, dormitories, and offices make use of calendars. 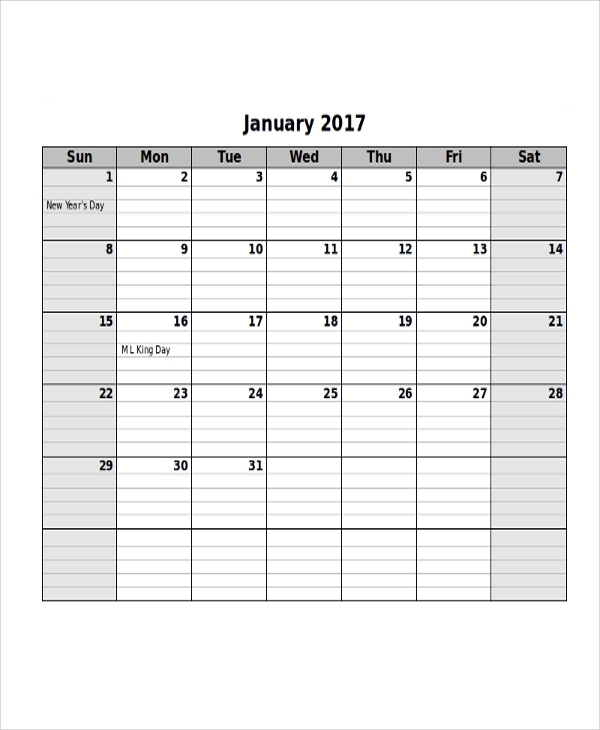 To make calendars more appropriate for the setting it will be used for, it can be customized. 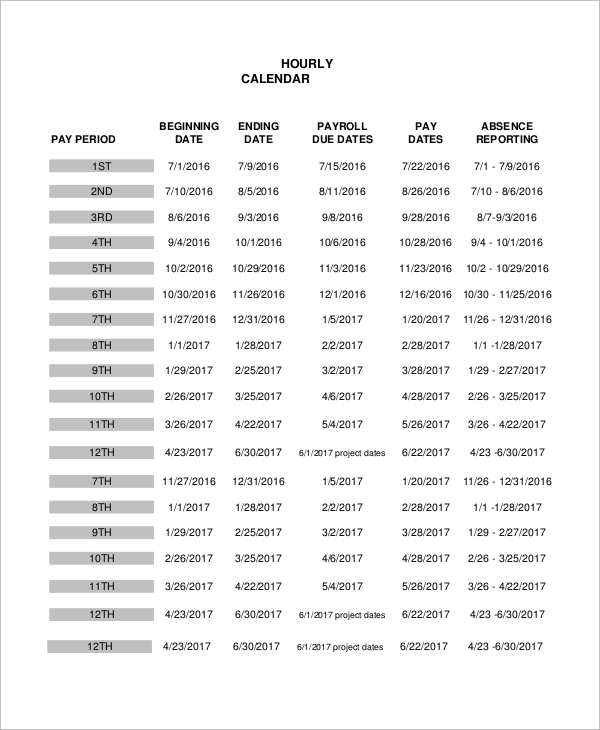 Our Sample Calendars come in various formats—daily, weekly, monthly, and annual, which gives a wide array of calendar templates that you can choose from. Everyone can make use of calendars. 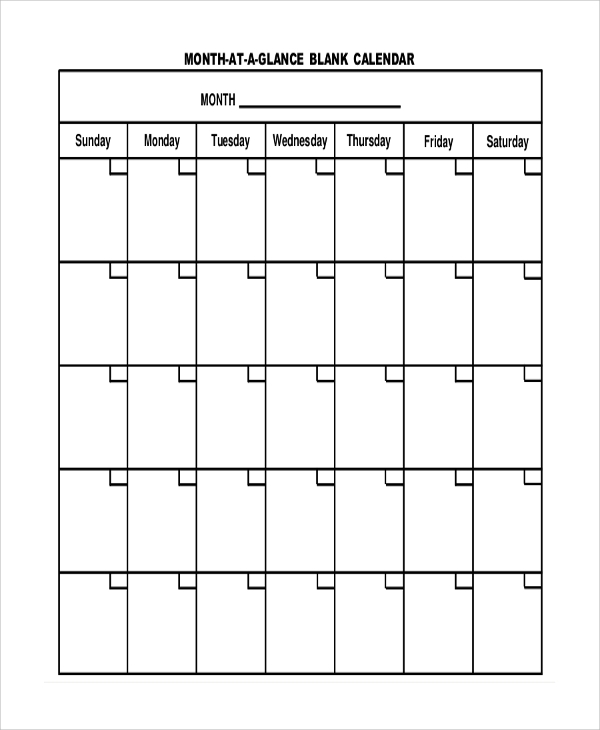 Whether you are a corporate businessman or a student, using calendars help organize key dates, keep track of the holidays, and avoid missing any appointments. These nine sample calendar printable templates are in formats dedicated for easy downloading and editing. 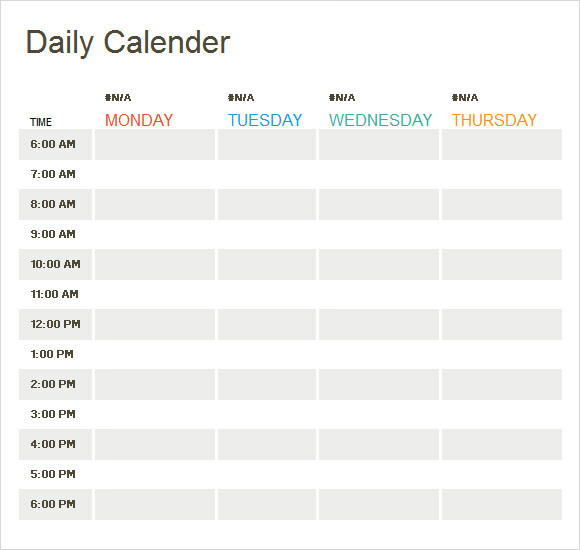 Before printing, you can opt to customize these calendar templates based on your preference. 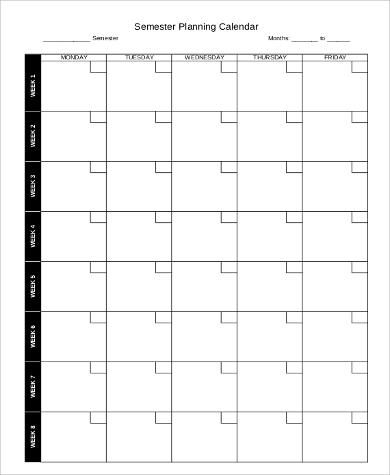 This set of Sample Printable Calendars are varied in terms of design and have multiple uses. The ergonomic design will help just about anyone to organize schedules depending on your lifestyle, study habits, or work habits. 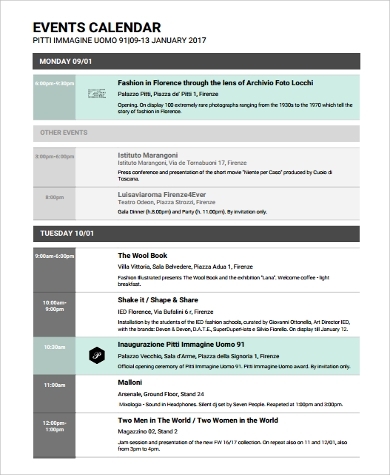 Personalizing it is a key to adding value to your calendar. By using our templates, it would be effortless to do so. The more effort you put into customizing your calendars, the more you will discover the vital role that a calendar plays in your daily or weekly routine especially when you have a ton workload or homework to do. Everything must be recorded—birthdays, meetings, job interviews, and holidays. Your calendar must be located in strategic locations or in locations where you can easily see it. Encircle important events and write the time. Constantly check your calendars to ensure important events do not clash with each other. Planning effectively and efficiently can help with reducing your stress levels. Calendars can do just that and it can also assist in accomplishing your goals and priorities if done right. 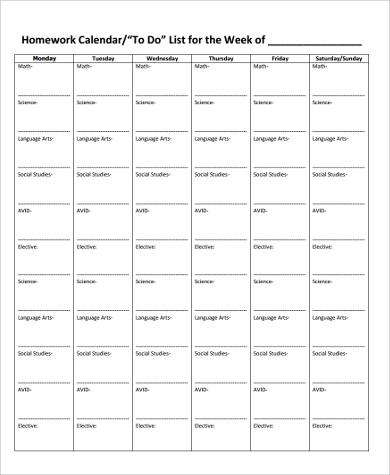 Just like how Homework Calendar Samples help students keep track of their homework and its specific deadlines. 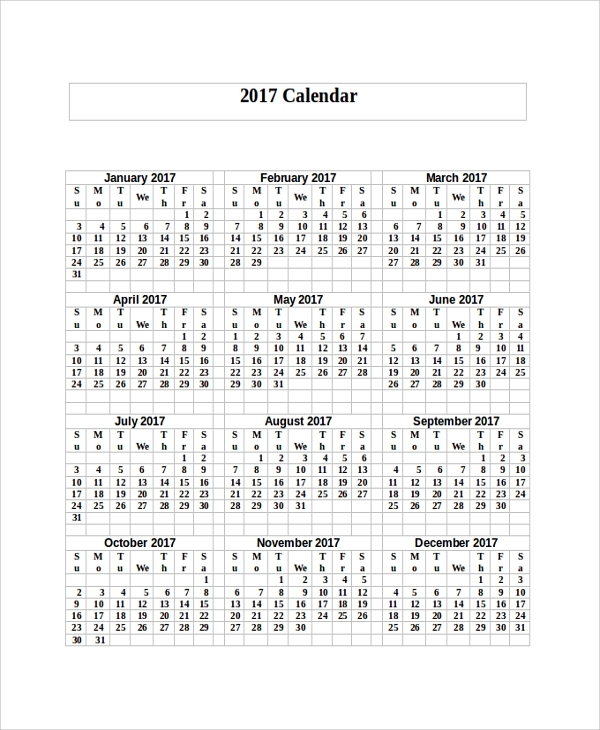 The importance of calendars are still apparent even in this time of age where digital calendars are available in multiple devices. The most major role of calendars is to aid you in remembering important dates. It also gives you a glimpse of what your future tasks are, which dates are crucial, and who will be celebrating a birthday in the coming weeks. Since you know your schedule, you will know how to strategically plan your upcoming days to avoid backlogs. Our Free Blank Calendar Samples give you an opportunity to freely customize the calendars. 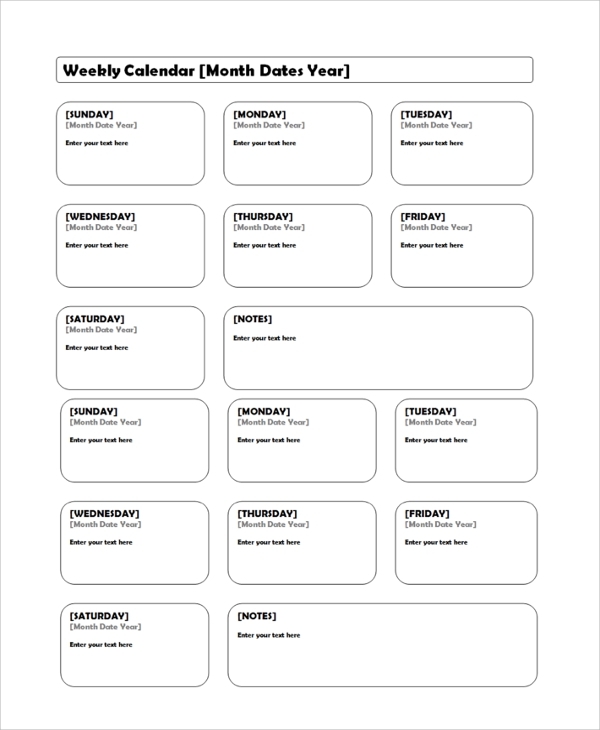 You can print these templates and use them as a personalized journal or planner that you can carry around to help you remember those crucial dates better. You can also give them away as personalized gifts.